Quit talkin' and start chalkin'. 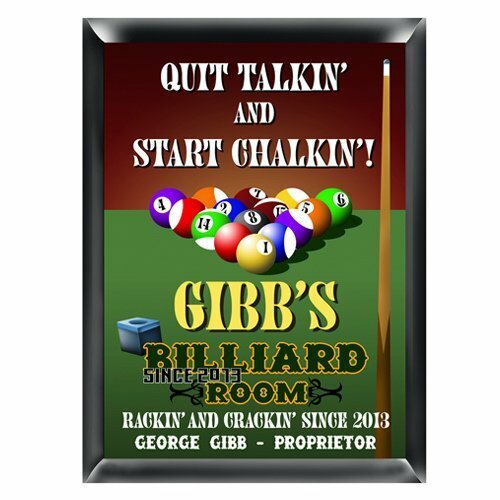 What a great way to give your basement, game room or billiards area a little personality! Just add your first name, last name and year of establishment to this personalized sign and your guests will know that you mean business. Chalk up some extra points by choosing to give this to a friend or family member as a customized, full-color piece for their home.